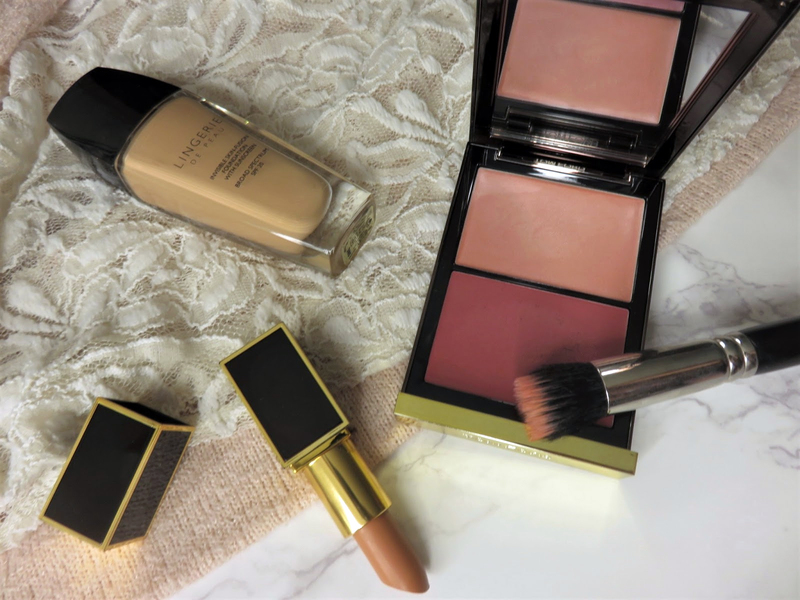 Since Spring 2017 is all about the lips and cheeks, Tom Ford had to release some fun new cheek products, including a new formulations for his powder blushes and two Shade and Illuminates for cheeks! 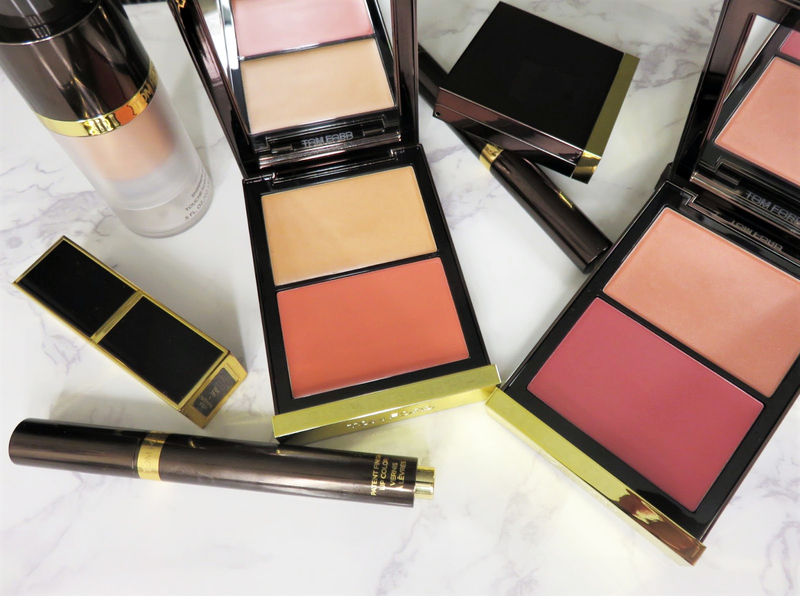 The original Shade and Illuminates in the Tom Ford line are a sculpting duo, with a highlighter and a sculpting/contour shade. 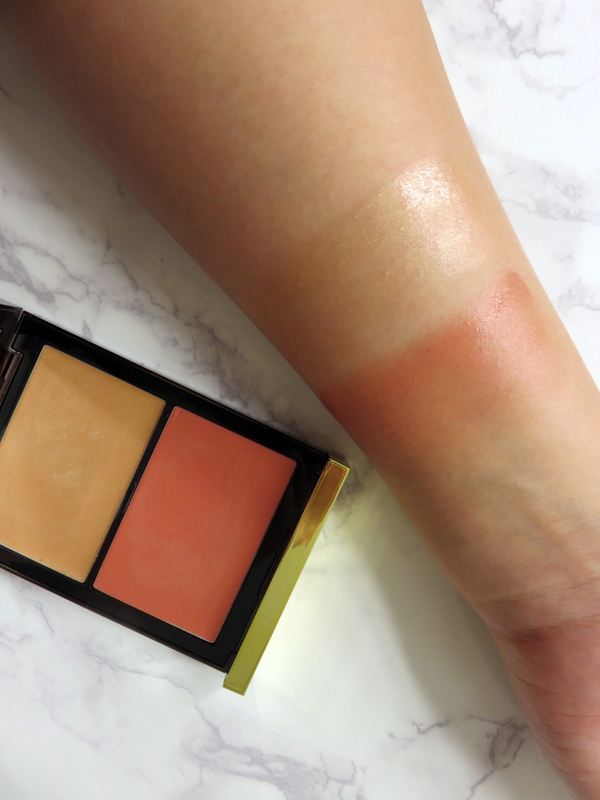 For spring, we finally get to see blush and highlight duos in this formula! The Tom Ford Shade and Illuminates for Spring 2017 retail for $80 USD and come in two color ways, Scintillate (01) and Sublimate (02). Available at TomFord.com, Neiman Marcus, Saks, and other retailers. Scintillate has a sheer golden highlighter and warm peach blush. 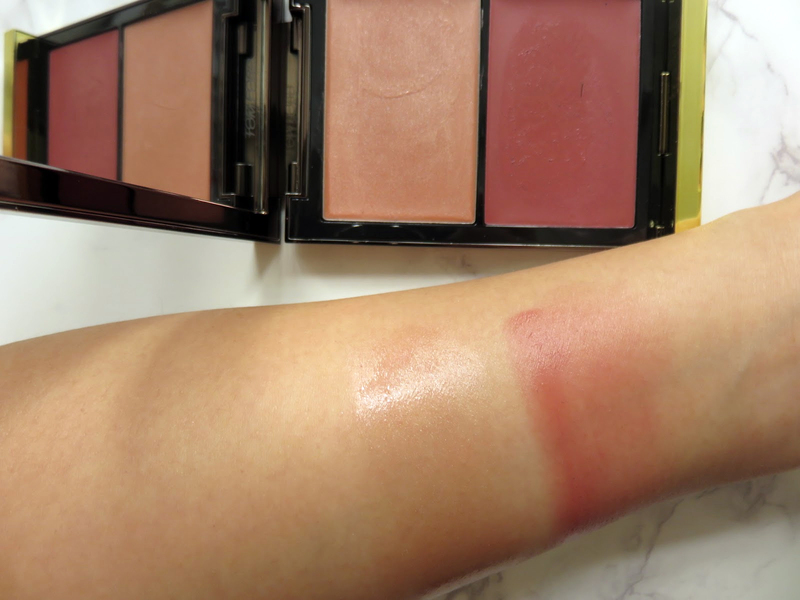 Sublimate has a sheer pink highlighter and a plummy mauve blush. 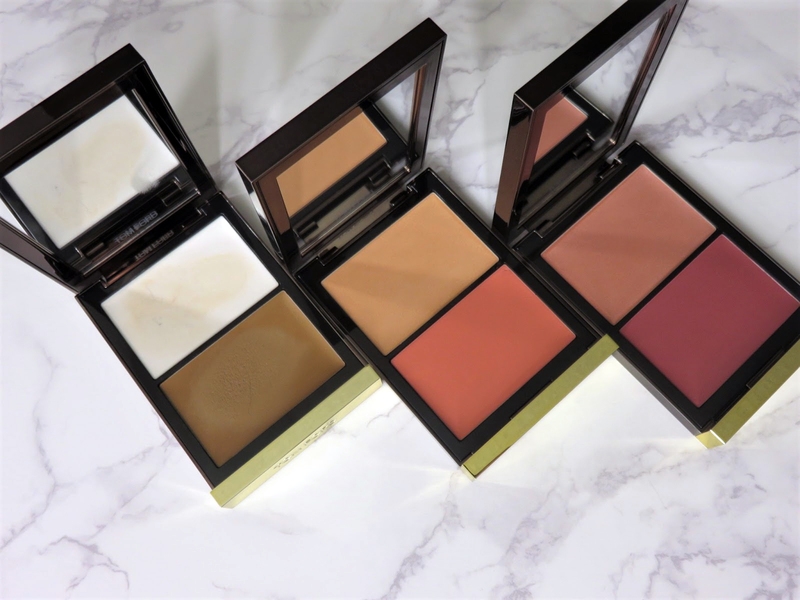 Packaged in classic Tom Ford cognac lacquered cases, these blush and highlight duos impart a very glowing and fresh look to the skin. It creates a very natural and healthy look to the cheeks, very reminiscent of runway model makeup. Like the classic formula, it is very emollient and does not dry down after application. You either love this formula or hate it, this product is really not for everyone. Luckily, the formula is not sticky but your skin will have a slightly wet feel to it. I have had my hair stick a little to my cheeks. 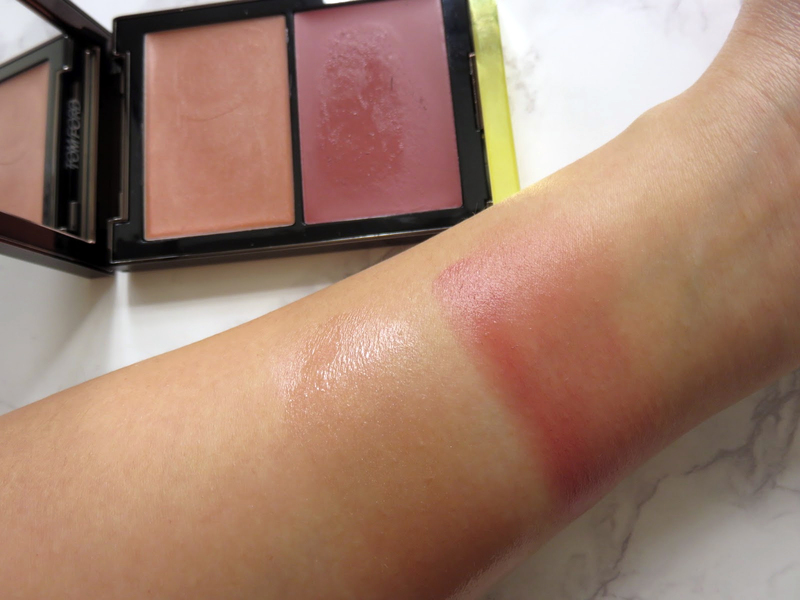 The blush shades are very sheer but buildable, so it is really hard to over do the blush. The formula is very easy to work with because it never sets on the skin but beware of blending too much. The best way to apply this product is with a patting or stippling motion, with either your fingers or a dense small stippling brush, my favorite brush is the MAC 130 brush. I think the most optimal way is really with your fingers because you waste less product and you can get the most pigment on the first application. By tapping gently on the cheeks you can apply the product evenly and get the best payoff on the skin. 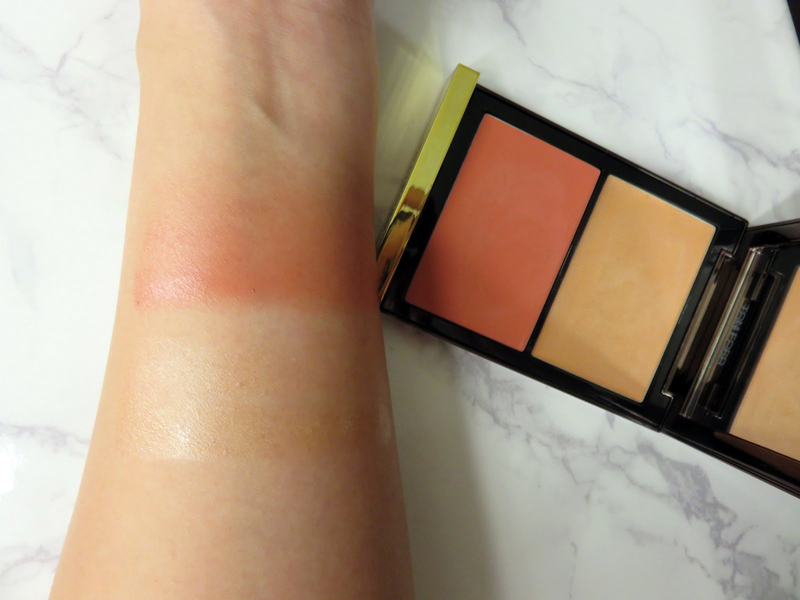 Just blend the edges of the blush, you don't want to blend away the color. The highlighters are very very sheer. Like the highlighter in the original Shade and Illuminate, they impart a very wet and glowing look but don't provide any pigment or color. The highlighter just makes the skin look very healthy and glowing. The best application method for the highlighter is with your fingers. 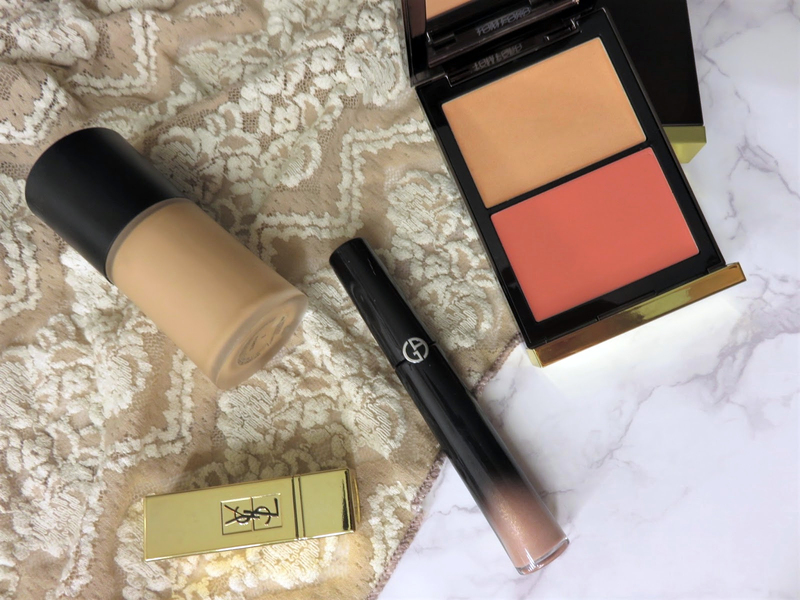 It applies this balm-like product evenly across the cheekbones. The effect of this product is closer to a gloss, than a typical highlighter. This highlighter looks lovely on the eyes for a glossy lid effect, which is trending this spring with the popularity of the cheek and lip focused makeup. Although this product is very very sheer, it makes it very versatile. Alone, layered over foundation, these cheek duos will last somewhere between 3 to 4 hours, depending on your skin type. Right now, it is still winter and I have dry skin so this product lasts a bit longer but I don't expect myself to be wearing it much as it warms up. Pretty ironic since these were released for spring, when the weather is warmer. If you have an oily skin type, I don't expect you to like these at all. I have also tried layering powder products on top and it has worked very well. If you are seeking a bit more pigment and longevity consider layering. I have also layered it over powder products, which typically is considered a huge "NO, NO" but with this light formula, it doesn't seem to disrupt any powder underneath. 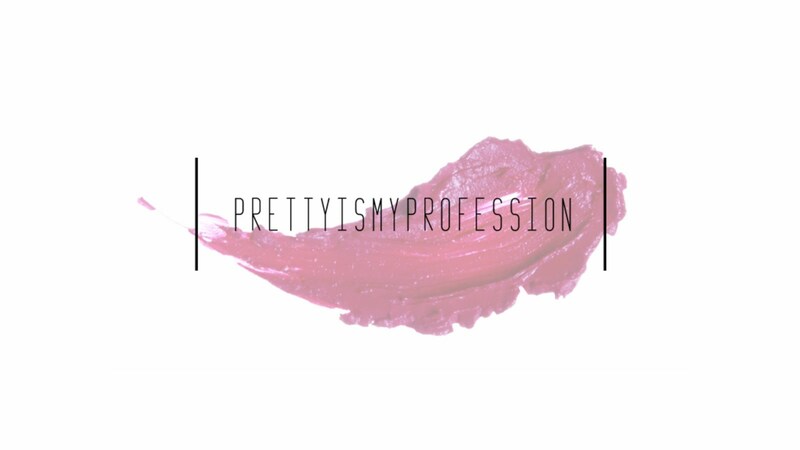 Keep in mind, I typically use very little powder and light layers of powder products. Overall, I would recommend this product for someone who has dry skin and really loves an ultra dewy look. This product definitely is not for everyone. I was really contemplating skipping these after reviews came out about how sheer they were but after seeing them in person, I was sold! The texture and effect this product imparts is very unique and is something I really like! 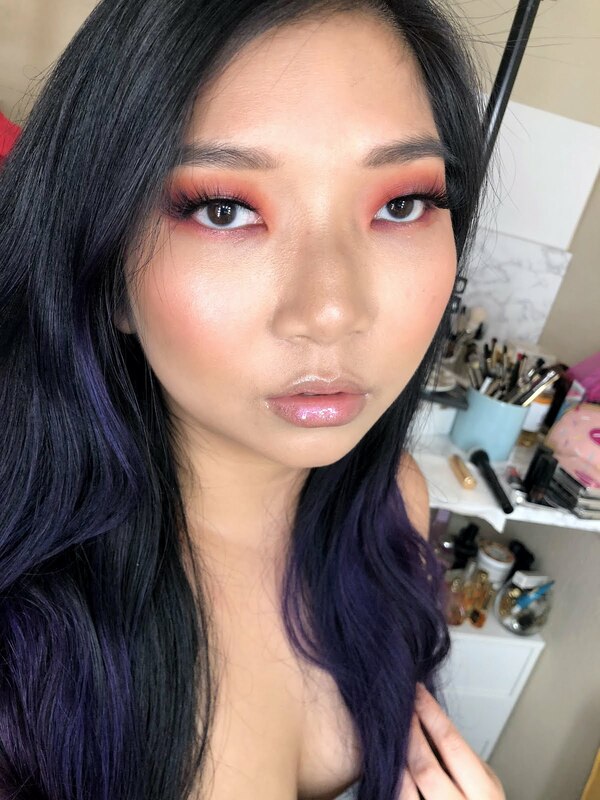 I love runway inspired makeup with glossy skin and glowing cheeks. This product emulates that look perfectly!